I love stories. 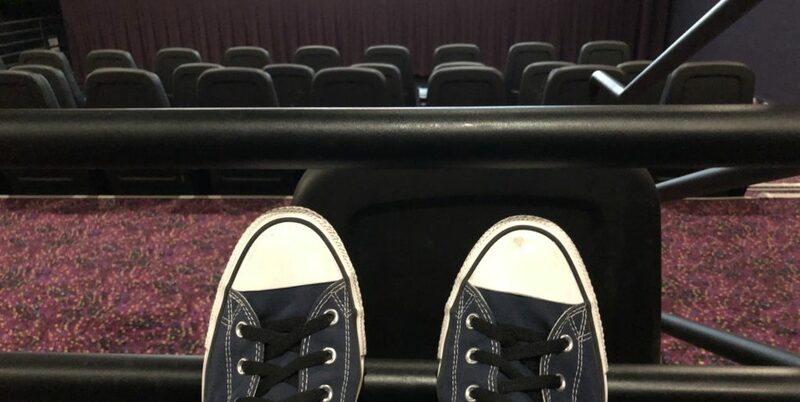 I try to make it to the movie theater at least once a week because I like to take a break from my story and experience other people’s stories whether they are based on actual events or a fantasy world created by a team of creative people. You can learn a lot from these stories and you can see the world from a different set of eyes. One thing that I claim as a hobby is people. I like to get to know people and learn about their stories. I like to learn about the journey that got them to where they are today. People are interesting and it is fun to unlock those things about them that helped shape their story. If I really connect with someone I enjoy being one of the supporting cast that hopefully is playing a memorable role. Many times I don’t realize how special my story is. The way I write it in my head it can sometimes seem like a tragedy, especially when I get overwhelmed with the negative hard things that life brings. I also have trouble sharing that story because I feel no one would want to hear it. I would rather enjoy their journey than tell mine. What if they won’t like me? What if they aren’t interested in me? What can I do to make myself more interesting? If I look back on my life with a different lens I can see the wonderful story that is my life. It is special to me because it is my story. I have learned many things and I have had many wonderful experiences and met a lot of people along the way. I am getting better at understanding that people do want to hear my story and they want to be a part of my story. I have many people who care about me and when I take the time to really process that it brings me tears of joy. I appreciate the people that are in my life and I am glad that when I am down or when I need help I know I can count on them to lift me up. To all of the people in my life who care about me, thank you. I carry your love with me every day and you are great supporting characters in my story and you make my life interesting and worth living. Also thank you for sharing your story with me and letting me be a part of it.